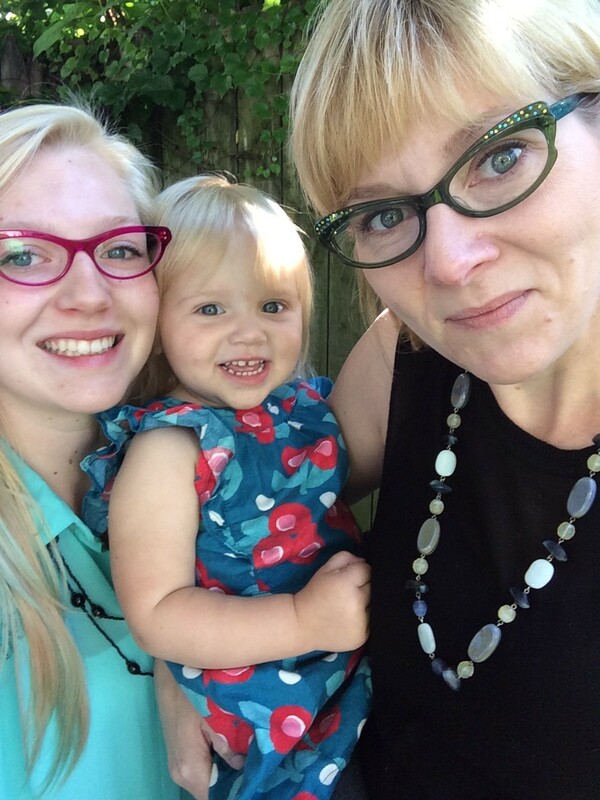 We love them so much, that we even have a couple ourselves:-) Our eye doctor has two girls…and the Queen of Specs has two girls!! But don’t worry, we like boys at Eye Spy also…as long as they are well-behaved!?! Dr. LaBrosse and her two clones! 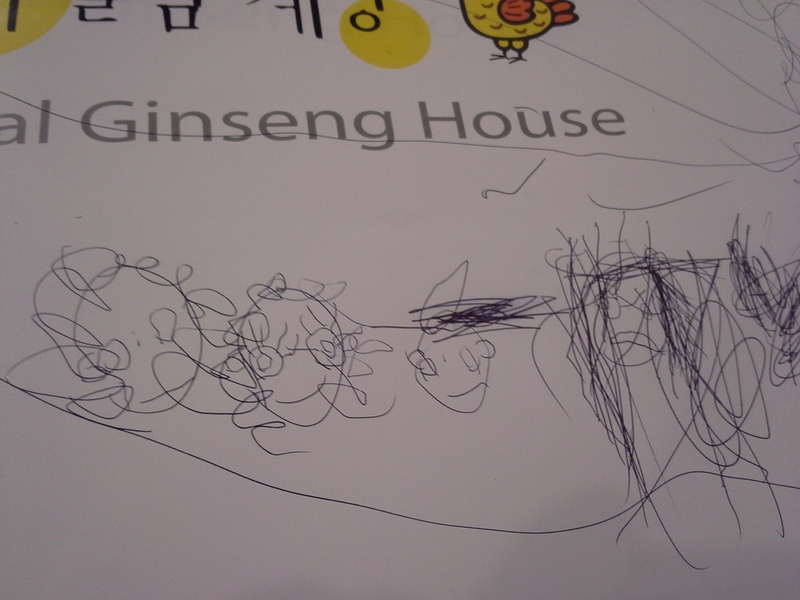 The Queen of Specs’ family, as drawn by Beatrice. Illinois law states that all children entering public schools for the first time (kindergarten or otherwise) are required to have an eye examination by an eye doctor. 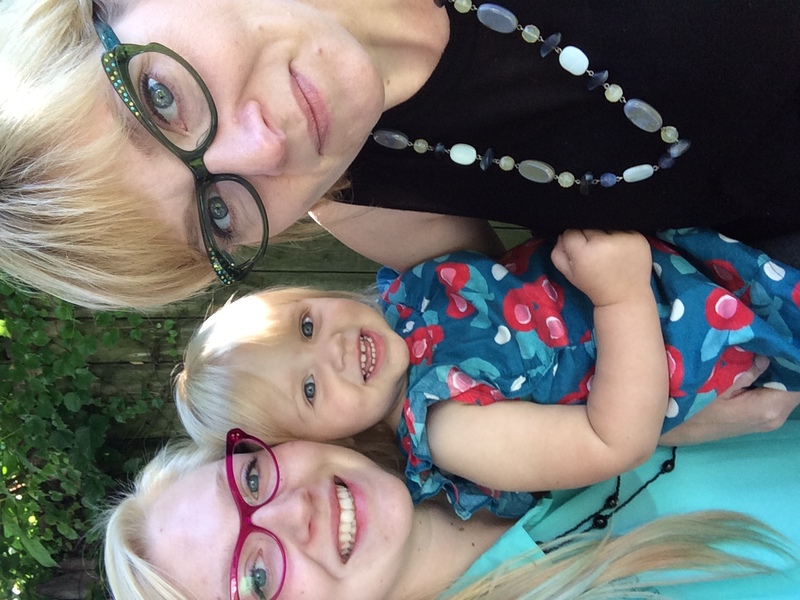 As luck would have it, Eye Spy is a great place to bring your little human for his or her eye exam! We are super-friendly and very low key, so we keep exam jitters minimal. We also have a waiting room that looks like your grandma’s living room, complete with movies…just in case *someone* needs a little distraction. Dr. LaBrosse has lots of experience examining children of all ages from a few months old to 99 years old! 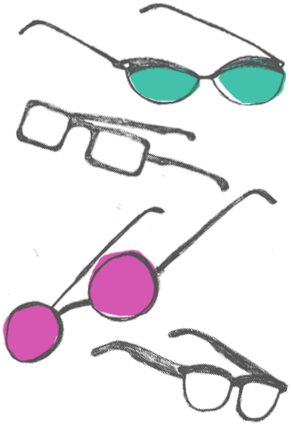 Your child does not have to know letters or even speak at all to obtain very useful information about their eyesight. Dr. LaBrosse uses many different non-invasive techniques to determine what the eye can see, how they work together, and how healthy they are. Eye drops are not necessarily needed for good results, so there is no need to worry if your little one is squeamish. The goal is to make the exam fun so your child responds to the best of his or her ability and wants to come back! Dr. LaBrosse has convenient evening and Saturday appointments available for busy families, so make your appointment today! Come on…just do it!